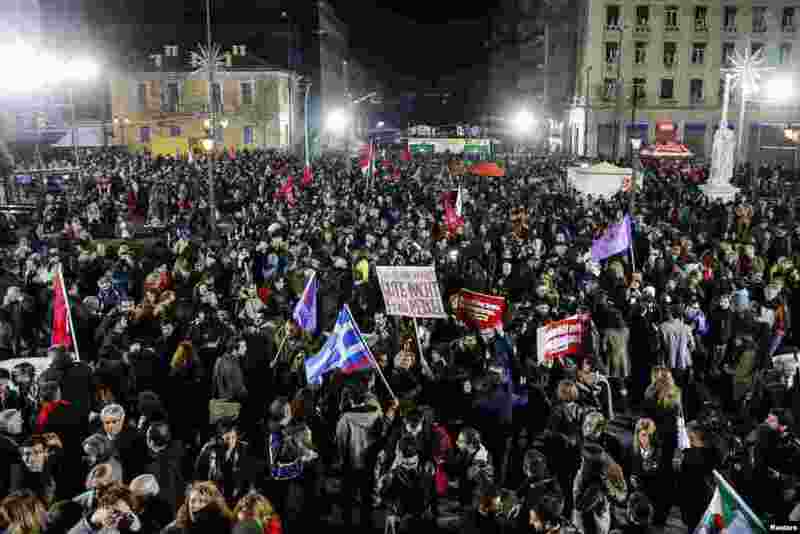 A radical leftist party and its 40-year-old anti-austerity leader have swept to power in Greece, outdistancing the conservative New Democracy party led by outgoing Prime Minister Antonis Samaras. 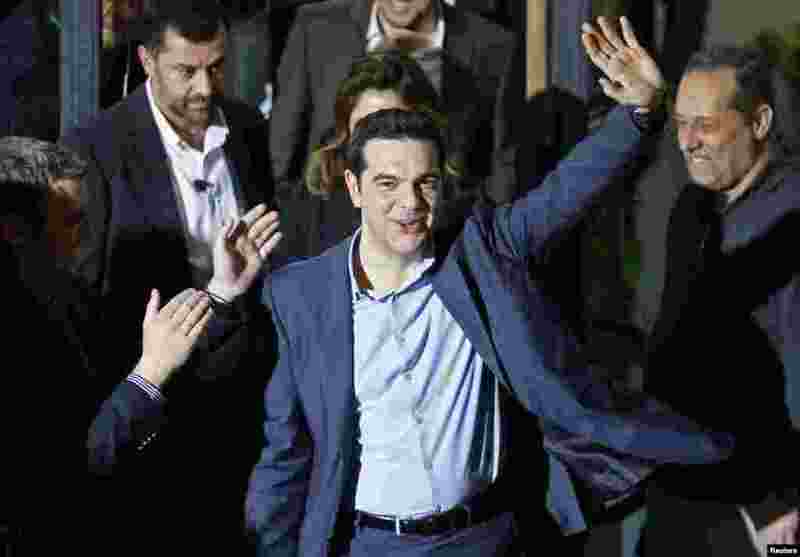 1 Head of radical leftist Syriza party Alexis Tsipras waves while leaving the party headquarters after his election victory, in Athens, Jan. 25, 2015. 2 Supporters of the head of radical leftist Syriza party, Alexis Tsipras, celebrate after their leader won the election in Athens, Jan. 25, 2015. 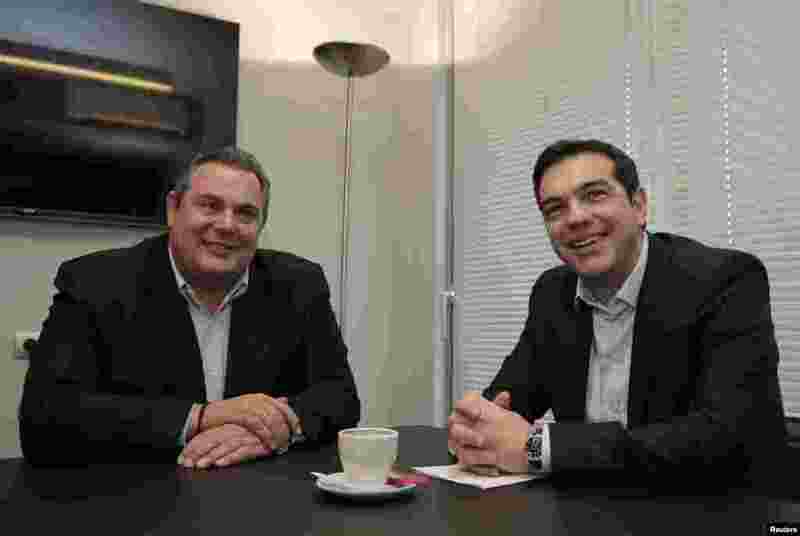 3 Head of radical leftist Syriza party Alexis Tsipras (right) meets with Panos Kammenos, leader of the Independent Greeks party, at Syriza party headquarters in Athens, Jan. 26, 2015. 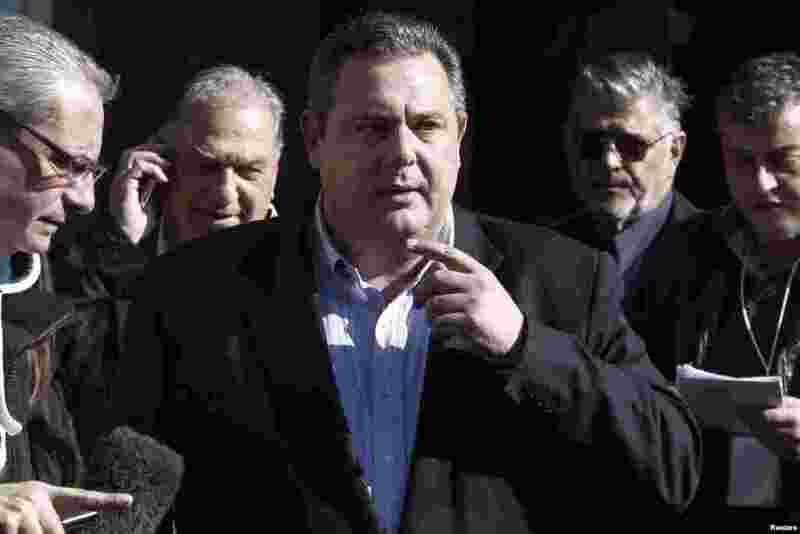 4 Leader of right-wing, anti-bailout Independent Greeks party Panos Kammenos (center) leaves after a meeting with head of radical leftist Syriza party Alexis Tsipras (not pictured) at the Syriza headquarters in Athens, Jan. 26, 2015.